HTC CEO Peter Chou has revealed that the company has plans for the tablet market in 2012, stating that the company is still looking to make slate-shaped waves. Speaking to Reuters, Chou explained its keen focus on smartphones won't stop it from releasing a new tablet in 2012, but the company is wary of releasing an iPad-a-like product for the sake of it. "Tablet is a market we would like to try and test, to see whether we can make ourselves stand out and prevent a me-too product," he said. 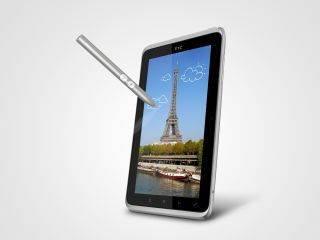 HTC unveiled its first tablet, the HTC Flyer, at Mobile World Congress 2011, when many column inches were spent discussing the company's decision to include a stylus, dubbed the HTC Scribe. The stylus is definitely not a feature that comes with an iPad, but despite that plucky little addition, the Flyer hasn't exactly enjoyed the Apple tablet's rip-roaring success. Since then, although HTC has seen fit to release the 10-inch LTE HTC Jetstream in the US, the UK hasn't seen a hint of a new tablet, not even in the run-up to the Christmas spend-fest. Chou also spoke of the company's intentions towards emerging markets which will be a key focus for HTC in 2012, promising to avoid the cheap-and-bountiful strategy that others have pursued, instead clinging to its 'premium' brand. "Customers are willing to pay more, that's why we have grown nearly five times in China this year. It shows that customers support our philosophy," he said.